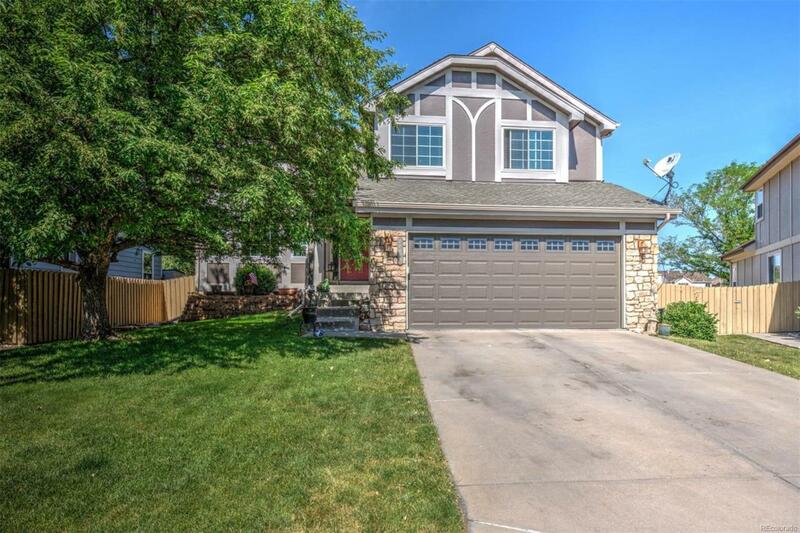 This beautiful 4 Bedroom 3 Bath home in Clarke Farms in Parker, just minutes away from all the amenities and beauty of Denver and the front range. Custom interior paint with beautiful hard woods throughout main floor with cozy fireplace in family room, and updated kitchen and baths. Enjoy the large master bedroom with 5 pc master bath. The well maintained home is located in a cul-de-sac and close to schools. It features an open floor plan that is light and bright. This home shows pride in ownership. This home will sell fast!